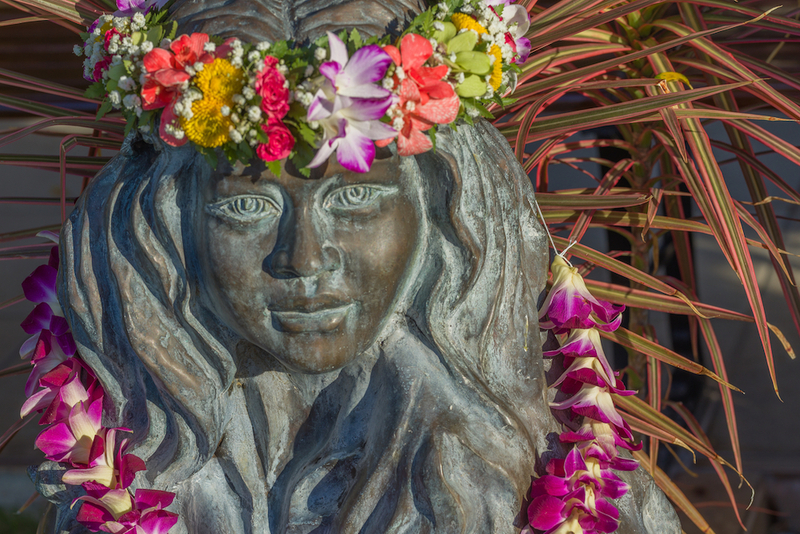 A statue in Honolulu depicts an idealized image of Hawaiian identity. Courtesy of Shutterstock. I am one of many in this long diaspora who still refers to Hawai‘i as “home.” And if you ask me what it means to be from Hawai‘i today, the question is tough to answer. It’s especially hard if you were influenced by the transformative period—sometimes referred to as the Hawaiian Renaissance—that began a little more than a decade after the arrival of U.S. statehood in 1959. Members of the diaspora cling to a set of beliefs about our identity—as Hawaiʻi “locals” shaped by the islands where we were born in raised—that are increasingly removed from today’s realities. The KNA’s roots dated back to 1909, when exiled Koreans in Honolulu and San Francisco organized to raise funds and strategize for Korean independence from Japan. Following Japan’s defeat in World War II, the KNA became a local community organization. By the time we were living there in the 1960s, the headquarters building had become a convening spot for occasional weekend festivities for local Koreans. Along with our family, a couple other units were rented to elderly former plantation laborers who had been among the first Korean immigrants to the United States in the early 1900s. By the time I started kindergarten in 1970, my parents had divorced, and my mother, brother, and I had moved to another modest apartment, this one a low-rise walk-up in the Mōʻiliʻili area of Honolulu across the canal from the new high-rise hotels at Waikīkī. I attended Ala Wai Elementary school, which was, then and now, a gateway for many families who had recently arrived from another country or state. I remember sometimes beginning our pickup football games with a raucous Samoan chant and seeing new kids arrive from places like Taiwan and Texas. Yet the legacy of earlier agricultural immigrant waves from Japan, China, the Philippines, Portugal, and Puerto Rico surrounded us. There was judo and sumo in the community center. For about a year, an ancient “manapua man” sold steamed pork buns from pails suspended from a wooden pole slung across his shoulders. His industrial age competitor sold his treats from a white Volkswagen beetle. When the original manapua man no longer made his rounds, the kids swore they had seen the VW manapua man run him down; it was a childish tall tale, but contained some truths about the force of modernity. My walk home from school passed the ʻIolani School campus, where Sun Yat-sen, who eventually overthrew China’s last imperial dynasty to become the country’s first president, was graduated in 1882. (Sun had a brother in Honolulu who paid for his education.) My own brother and I liked to stop in at the 100th Infantry Battalion clubhouse to get a drink from their water fountain and gawk at the display case of World War II weapons, which, if my memory isn’t too hazy, contained a German water-cooled machine gun. We would learn later of the heroics of the Japanese-American soldiers and the role of returning veterans in democratizing Hawaiʻi’s politics and breaking down the caste-like plantation economy. In the early 1970s, there was an idealized view of Hawaiʻi as a progressive, multicultural state that might be a model for a new, transpacific United States. At least, that was the pretty picture broadcast to millions on “Hawaii Five-O.” “Star Trek” creator Gene Roddenberry said the multiracial crew of the S.S. Enterprise was inspired by what he saw in Hawaiʻi when he was based there as a pilot during the war. This “Paradise of the Pacific” image was pushed by the tourism industry and taught to us in school. It was a flawed paradise. The rise of the upwardly mobile middle class was fueled by organized labor, federal defense, and infrastructure spending, and the growth of tourism. But many native Hawaiians were left behind economically, or actively displaced from their housing, by Americanization. Poverty and incarceration rates were alarming, and the indignity of suppressing the native language and culture would no longer be tolerated. Things fell apart. By the mid-1970s, open revolt against Americanization and displacement had begun. The actions were both entirely peaceful and undeniably forceful. In Kalama Valley on Oʻahu, farmers refused to leave their leased lands to make way for residential real estate development. Activists began regular landings on Kahoʻolawe island to protest its use by the Navy as a bombing range. Hundreds of homeless native Hawaiians cleaned up the land around the Sand Island garbage dump to build a fishing village. The physical protests and reclamations of land produced mixed results. Kalama Valley was turned into an expensive suburb in spite of the farmers’ protests. The Sand Island residents were evicted, their homes bulldozed. But military use of Kahoʻolawe ceased. More important, these actions raised Hawaiian consciousness and galvanized a sophisticated critical mass of native leadership well-versed in law and public organizing. On a parallel course, a Hawaiian renaissance in language, culture, and the arts largely succeeded in establishing a distinctive regional identity. By the late ‘70s, as I entered my teens, there was growing talk of Hawaiian sovereignty. By the late 1980s, when I finished college in Los Angeles, Hawaiian sovereignty was still building momentum; today it is inseparable from any substantial discussion of Hawaiʻi’s political future. At the same time, the high cost of living, especially for housing, meant many in my generation could not afford to make a life on the islands. The trend continues today, even more intensely. New homes on Oʻahu are routinely priced in the seven figures, and luxury condominium units actually sell in the eight figures. The market resembles that of California, where few can afford to live in the neighborhoods their parents settled in the 1960s or 1970s. Hawaiʻi continues to have negative net migration with the rest of the United States. Most newcomers are whites from other parts of the mainland. So many native Hawaiians have left that the numbers of native Hawaiians on the U.S. continent far outnumber those in Hawaiʻi. So what does it mean to be of Hawaiʻi today? The answer lies in an ongoing dispute over whether native Hawaiian ancestry is a requisite to being a Hawaiian. For those without native blood, there has often been a belief that if you held certain values, or ate certain foods, or spoke the Hawaiian language to some degree and pidgin English fluently, you were “local.” In his 1986 book Kū Kanaka, George Kanahele noted that one answer given to the question, “Who and what is a Hawaiian?” was “someone who eats palu (a relish made of the head or stomach of a fish, mixed with kukui nut, garlic, and chili peppers).” Kanahele himself held that any Hawaiʻi resident with a “true understanding of the values of Hawaiian culture” was a Hawaiian. But today’s demographic and economic trends in Hawai‘i are making that identity obsolete. The “locals” are dying or leaving. But such extensions of Hawai‘i identity to the mainland don’t solve the tough questions that face the state. Can Hawaiʻi exist as a place where more children will grow up to move elsewhere than remain? Will the pattern of large-scale local and native out-migration become permanent? Or will this large and ongoing diaspora inspire a backlash at home? Will those left in Hawai‘i seek to protect themselves in ways that force a dramatic upheaval in the demography and economy of the islands? For example, could native Hawaiians respond to the outflow of their friends, and the arrival of American strangers, by seeking some form of political sovereignty—including independence from the United States itself? And would such a rupture bring Hawai‘i locals and other members of the diaspora home? George Kanahele, in that 1986 book, noted that the Hawaiian cultural resurgence of the 1960s and 1970s was tied to similar U.S. and global movements. The population outflow of Hawaiʻi today is also tied to broader U.S. and global trends. Oʻahu shares its stratospheric housing costs with cities from Vancouver to Tokyo to Auckland, all of which have seen backlashes from locals displaced by wealthy new arrivals. Mass homelessness and stubborn wage stagnation are fueling frustration and reassessment in Honolulu and in other U.S. cities. Will Hawaiʻi’s still-distinctive culture yield homegrown solutions, like its current and innovative homelessness project? Or will Hawaiʻi be the first to act on a Brexit-like rejection of the American status quo? The paths of Hawaiʻi’s people at home and abroad could well become a case study in the long-term viability of statehood and citizenship for many nations. Peter Hong is a Los Angeles writer who was born in Honolulu and left in 1983. He has been a reporter at Businessweek Magazine,The Washington Post, and the Los Angeles Times.